One thing that I am really determined to work on through 2019 is my mental health. Over the last few years I have taken steps to deal with things in my life that have absolutely helped but I know that I am still rather pessimistic, although I prefer to think of myself more as a realist. But being pessimistic, its no way to be really is it? And I really don't like the thought of people thinking of me as being like that as it draws up negative connotations for me. So as we work our way through the year, I'm going to try my best to be more positive. I need to try to let go of the emotions that are holding me down and popping their head up when I least expect them. 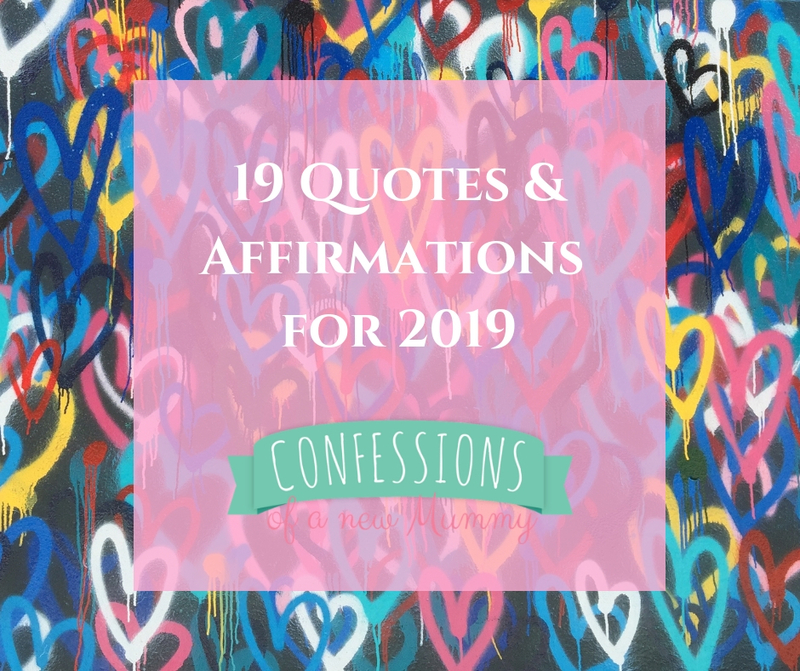 Here's 19 quotes and affirmations that have caught my attention. I hope you like them and who knows, perhaps you'll find one that speaks to you. There comes a time to stop trying to make things right with people who won't own their part in what went wrong. Worrying does not take away tomorrow's troubles, it takes way today's peace. Let your past make you better, not bitter. You don't have to learn how to control your thoughts, you just have to stop letting them control you. I'm proud of myself and my achievements. My confidence is constantly increasing. I can achieve anything I put my mind to. I'm working on myself, for myself, by myself. Don't overthink, just let it go. (Most of these I have found via Pinterest but I have tried to credit where possible). Do you have a quote you love? Share it in the comments below.